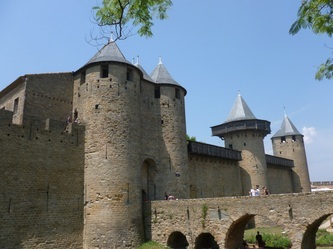 Carcassonne is the last of what AlteCocker calls the "A List" sites in France that AlteCocker had not viewed after many trips. 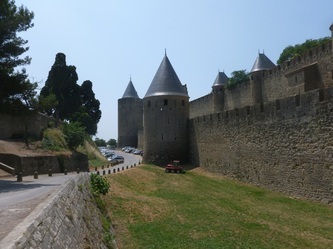 Others will quibble about what should be on the "A List", of course, and there are still plenty of "B List" sites that AlteCocker can return to France to see. 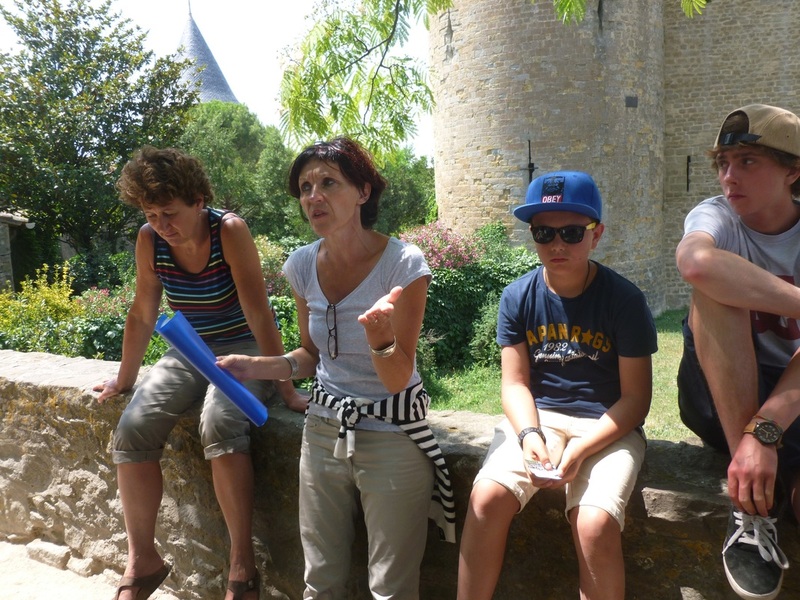 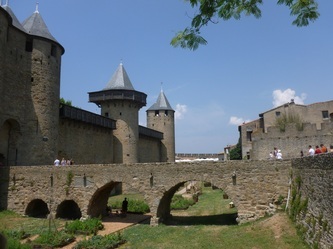 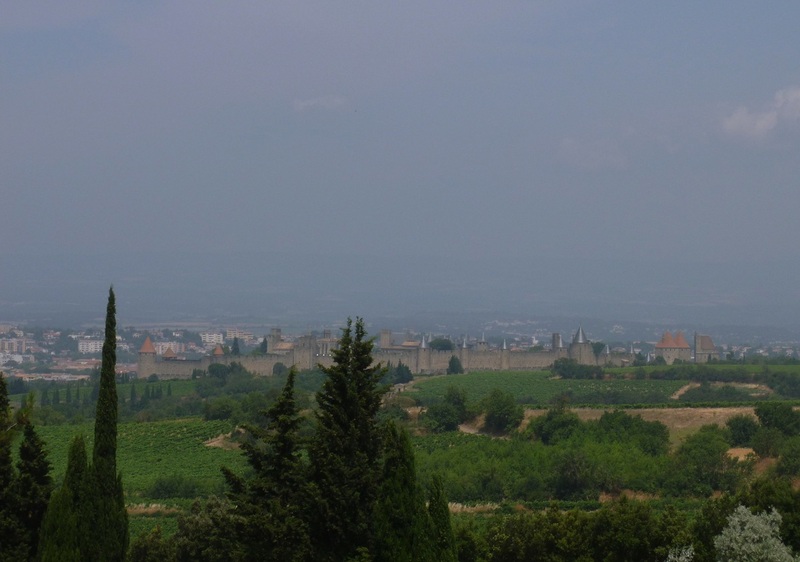 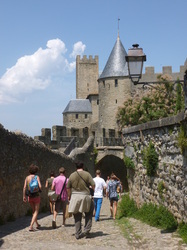 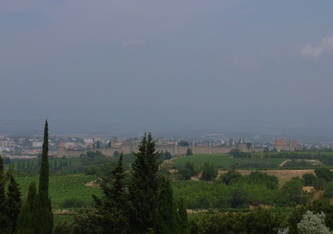 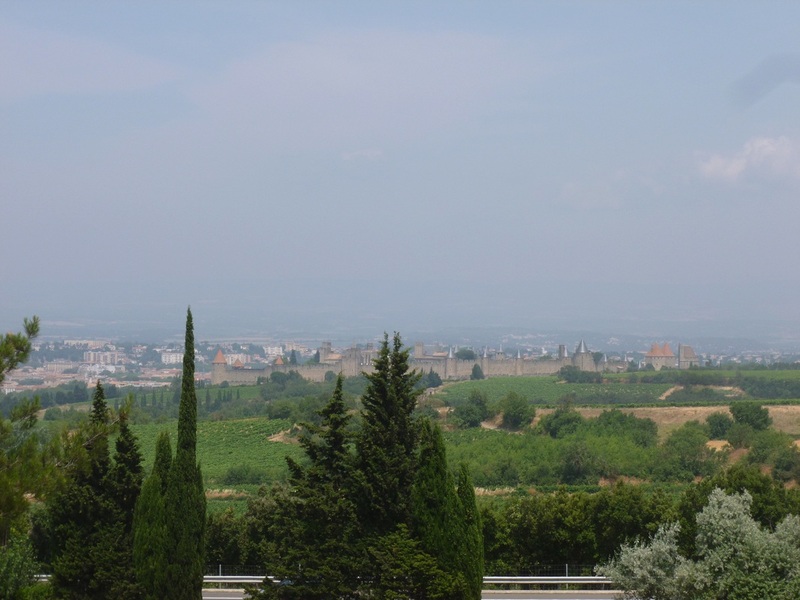 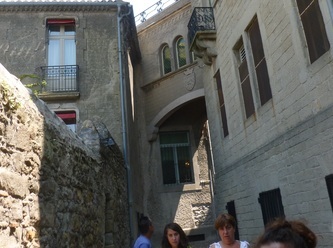 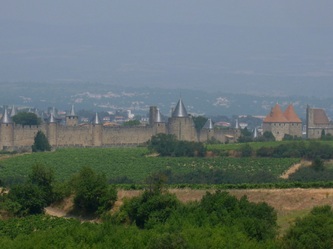 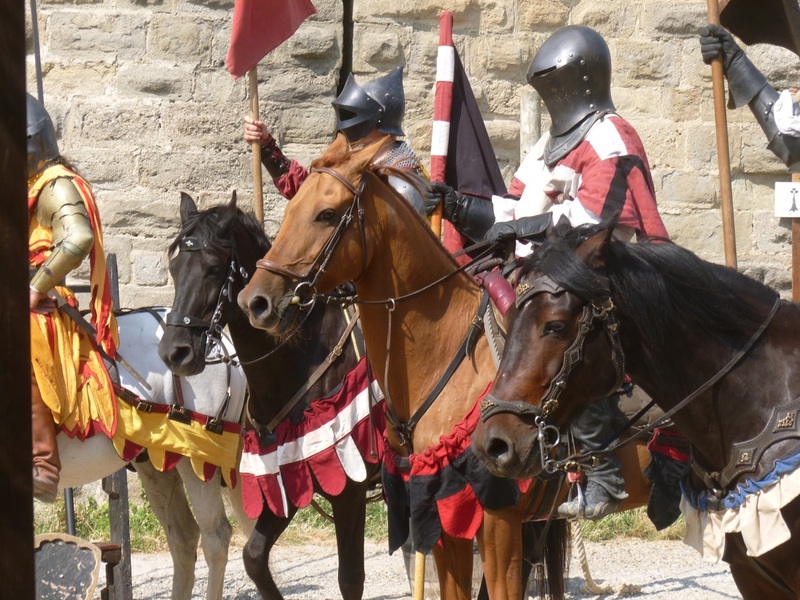 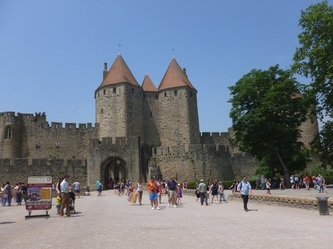 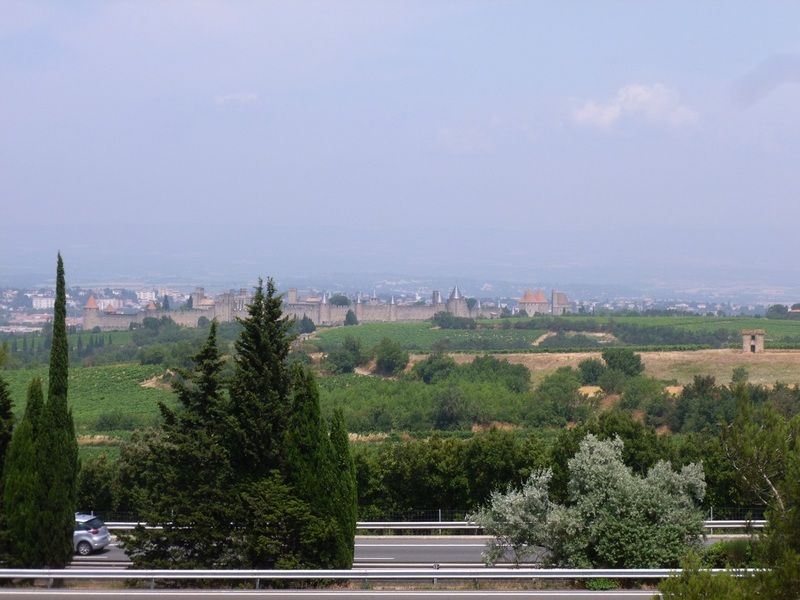 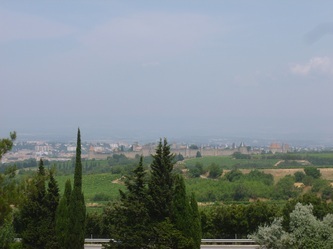 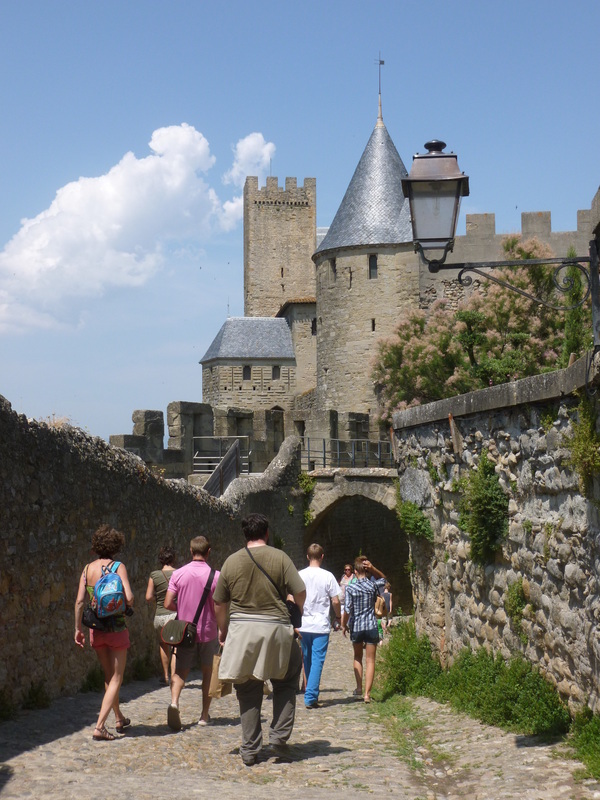 While at her home exchange in Toulouse, she did a day trip to Carcassonne. 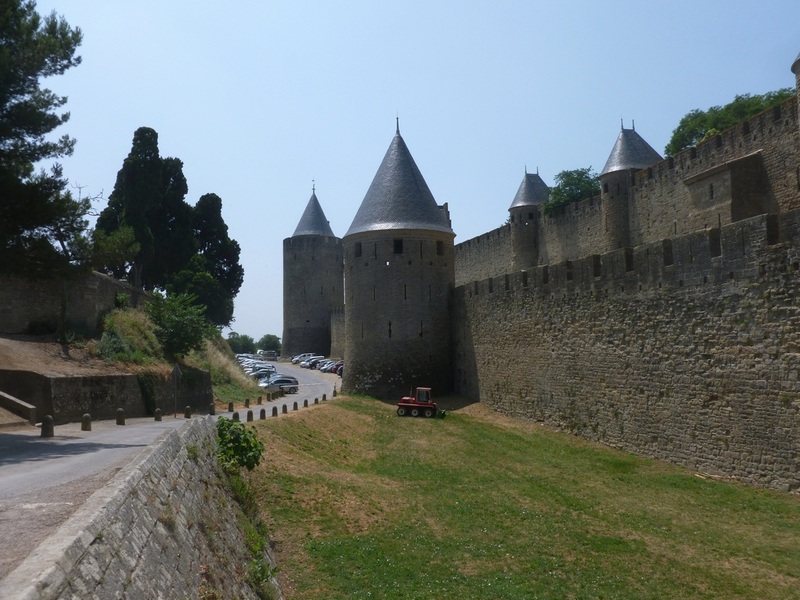 Fortunately, going south, she got off at the second Carcassonne exit. 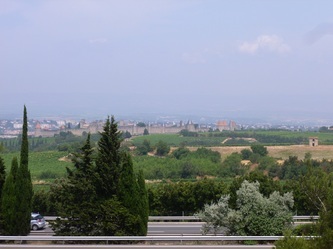 Doing that you pass a magnificent overlook from the highway which gives you a spectacular view of the old city from the road. If you take the first exit, you would miss that. So, if you go, take AlteCocker's advice here. 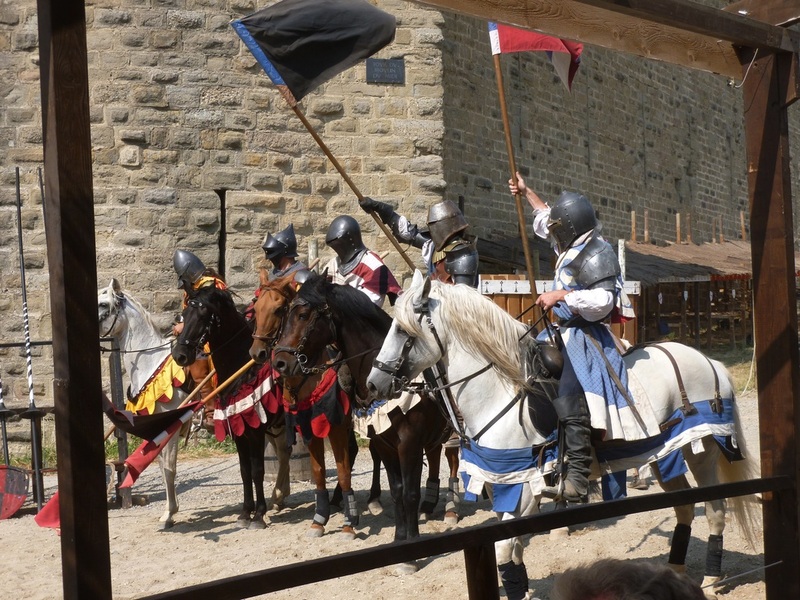 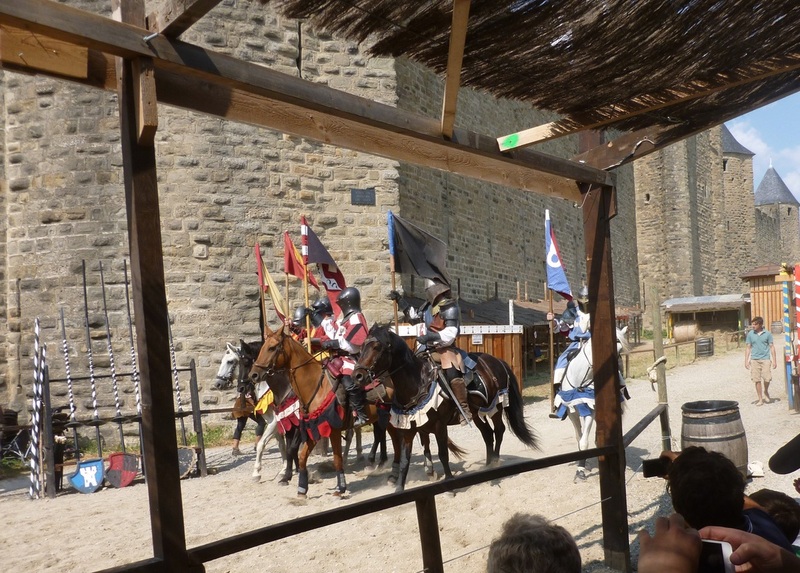 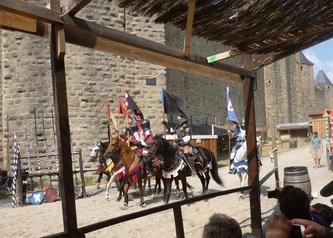 While in the old city, which was done as a day trip from Toulouse, AlteCocker did a walking tour of the old city, ate lunch in a nondescript restaurant in the center and then went to a joust (not as good as Cordes, but what the hell). 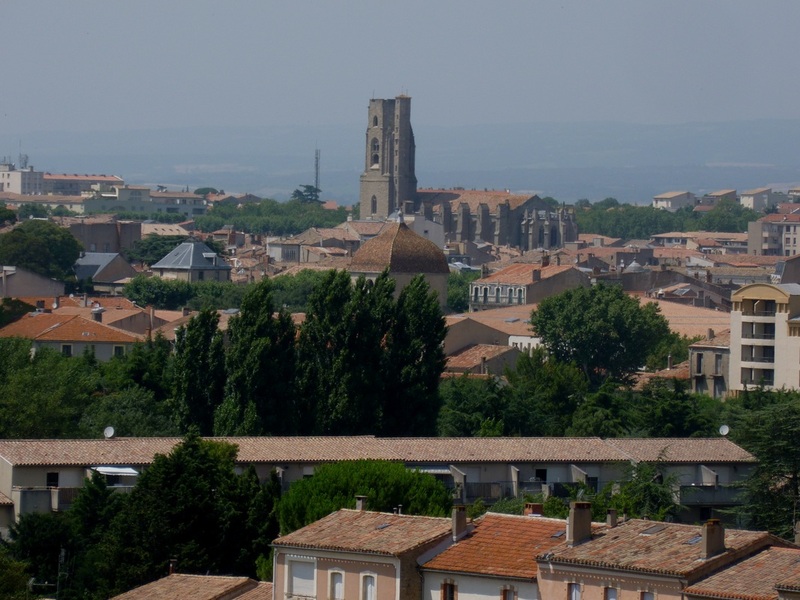 She then returned home to her home exchange in Colomiers, a suburb of Toulouse.